Ukrainians have waited particularly long for the arrival of spring this year, but there is already considerable optimism that 2018 will mean more record-breaking harvests for the country’s buoyant agricultural industry. 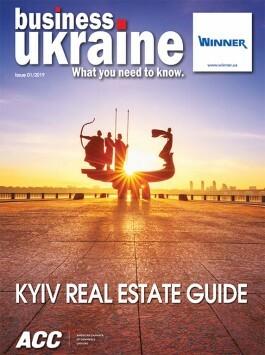 The past few seasons have produced bumper crops and seen Ukrainian producers make significant new inroads into international markets, helping the country regain its reputation as Europe’s principle breadbasket while establishing its credentials as an agribusiness superpower on a global scale. Larysa Bondarieva, Member of the Board at Credit Agricole Bank in Ukraine, responsible for Corporate Business, SME and agri-agro, believes these gains are part of broader evolutionary processes at work within the Ukrainian agriculture industry. Based on the dynamics she is currently witnessing inside the industry, she sees scope for significant further production growth and additional export market shares. However, the ambitious current infrastructure upgrade of the agriculture sector must continue to gain ground if Ukraine is to realize its potential to feed the world. Ukraine’s annual grain harvest in 2017 was slightly above 62 million tons, which represented a marginal drop on the 2016 figure of 66 million tons. Despite this minor annual decline, both these totals represent good results, while the historic high in 2016 indicates the vastly improved efficiency evident throughout the sector. Ms. Bondarieva points to telltale signs like the increasing availability of locally developed seeds that combine high quality and cost effectiveness. This has coincided with an increasing readiness to invest in good quality seeds alongside better crop protection and fertilizers. 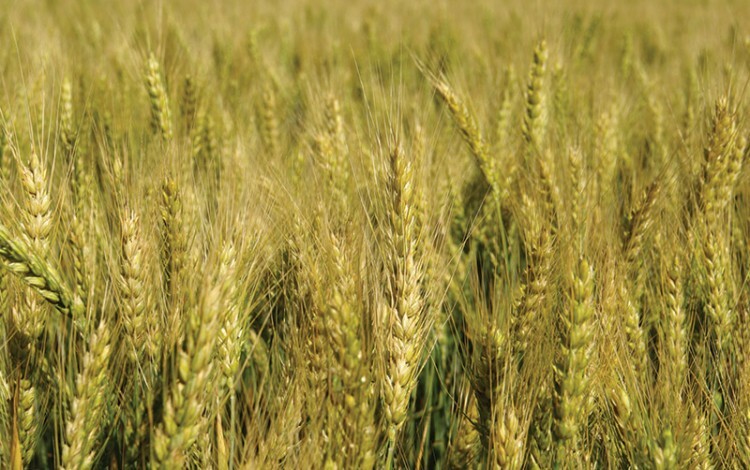 “Agricultural producers are no longer looking to cut corners because they recognize this may affect both the quality and quantity of their grain,” she notes. If maintained, this improved efficiency will lead to even bigger harvests and greater grain gains in the years to come. Ms. Bondarieva says that annual grain harvest totals in excess of 80 million tons are achievable via a combination of higher quality inputs, good storage practices and improved machinery. In order to move beyond the 100 million ton mark, substantial additional investments would be required to finance the irrigation of Ukraine’s rain-starved but fertile southern regions. This is likely to become feasible in the medium term as investors seek new ways to tap into the riches of Ukraine’s fabled breadbasket. Ukraine is experiencing rising agricultural production at a time when the country’s population is slowly shrinking. This negative demographic trend means that any additional agricultural produce is likely to be destined for global markets. One of the key challenges currently facing the country’s major agricultural groups and Ukraine’s strategic partners is transporting these growing harvests from the fields to the consumer. Ukraine’s ports have experienced a fourfold expansion in transshipments over the past decade, helping to boost export potential while also forcing down tariffs and making Ukrainian agricultural products more globally competitive. Ms. Bondarieva says Ukraine’s port infrastructure upgrade will continue in 2018, with up to eight major projects expected to proceed. The nationwide overhaul of Ukraine’s highways is unlikely to lead to greater volumes of agricultural produce transported via lorry. Instead, weight restrictions introduced with bulky agricultural freight specifically in mind will serve to cancel out any possible benefits from improved road surfaces. The damage caused by overloaded vehicles carrying agricultural produce is among the factors contributing to the poor state of Ukraine’s major highways, making it hard to envisage any significant increases in this direction. Ukraine’s railways currently enjoy the lion’s share of the country’s agricultural traffic, but as harvests have become larger in recent years, there have been notable failures to meet peak demand. One of the results of this shortfall has been the growth of private railway wagon fleets, with the number of privately owned wagons doubling since 2015 to around 4,000, which is more than one-third of the approximately 11,000 wagons maintained by the state-owned national freight carrier. Ms. Bondarieva expects the number of wagons in service to continue rising in 2018 and notes the need for more modern locomotive engines. She says the recent USD 1 billion agreement signed between Ukraine and General Electric subsidiary GE Transportation will help overcome the current problem of outdated engines. In addition to China, the other single largest market for Ukrainian agricultural exports is India. Both countries boast populations in excess of one billion and both are high on the list of importers of Ukrainian agriculture. India is the leading importer of Ukrainian sunflower oil, while the 16% growth in Ukrainian imports registered in 2017 is set to increase to 20% in the current year. Ukraine’s successful expansion into the hotly contested Chinese and Indian domestic markets is part of the country’s increasingly global approach to agricultural exports. No longer able to rely on the old comfort zone of the former Soviet world, Ukrainian exporters have carved out new niches and proved themselves more than a match for many more established market participants.